We personally consult with you to plan a unique, unforgettable wedding celebration. We pay attention to the details to ensure the your event flows smoothly and is stress-free. We keep the focus on you while involving your guests. For wedding ceremonies, we play instrumental background music as guests arrive and play music for such things as the formal seating of relatives, the processional, the unity candle lighting, and the recessional. For wedding receptions, we play upbeat background music as guests arrive and socialize. We customize the dinner music to your specifications as guests dine. We then transition into the formality’s and dancing party music. We serve as Masters of Ceremony from the personalized introductions of your wedding party to the cake cutting, from your first dance to your last dance. Extreme Sounds will coordinate your special day with personal attention and attention to Detail with the perfect mix of music incorporated with your music selections together with detailed planning to your specifications. We will consult with you & play what you want to hear – from R&B, Classic Rock & Soft Rock, Hip-Hop, House, Club, Freestyle, Disco, Top 40, Motown, 50’s, 60’s, 70’s, 80’s & 90’s to Today’s sound. 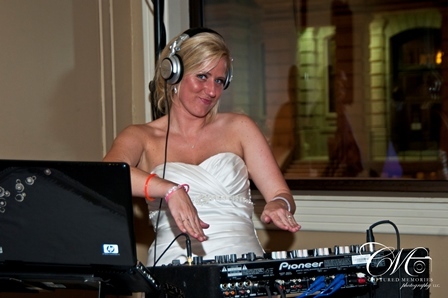 Extreme Sounds provides excellent service for weddings and private parties with a perfect party mix of music for birthdays parties, and anniversary parties, and holiday celebrations. Keeping your guests dancing the night away with a professional disc jockey that can read the crowd and entertain at any event. All of our DJ systems are equipped with the latest technology, computerized laptop audio systems.